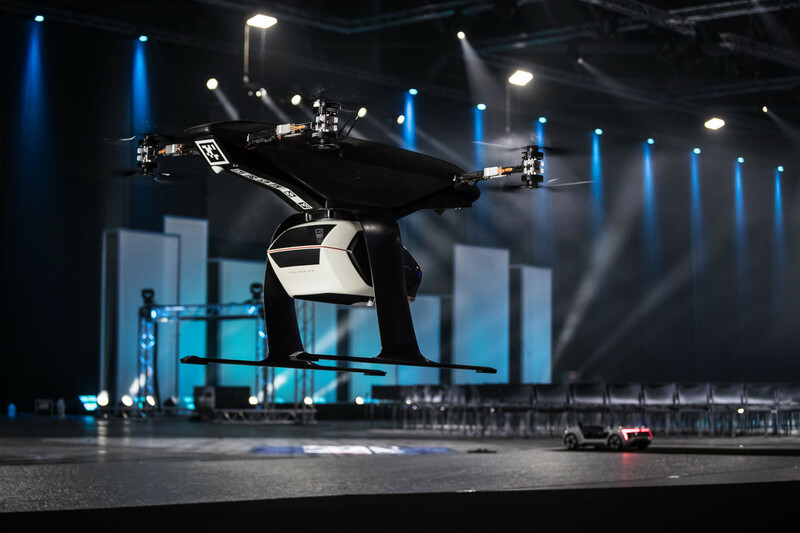 At the Drone Week conference in Amsterdam, Audi and Airbus jointly showed off a one-fourth scale working model of the Pop.Up concept, which Airbus debuted in May of 2017. 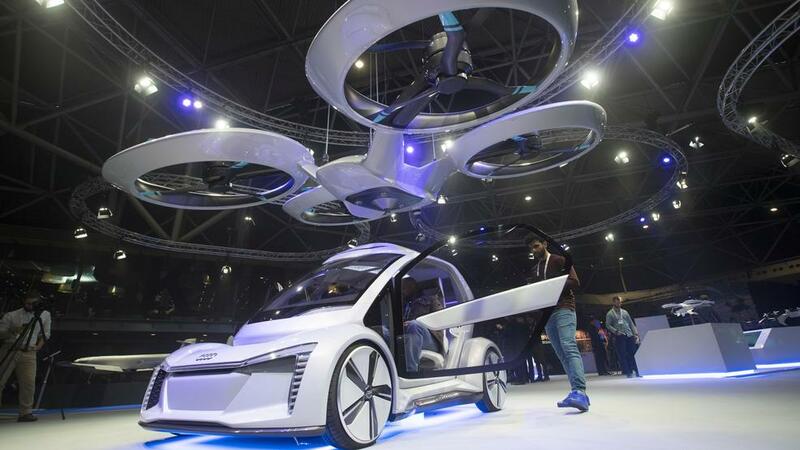 The Pop.Up is a three-part modular vehicle consisting of a passenger pod, a four-wheeled ground adaptation designed by Audi, and a a quad-copter attachment for urban flight. The Pop.Up model featured at Drone Week was built in collaboration with Italdesign, a world-renowned subsidiary of Audi. In addition to the smaller working model, the companies also exhibited full size mockups of the Pop.Up. Attendees got the chance to experience what it would be like to use the the vehicle. In the test flight, the small scale prototype picked up the passenger pod from the ground vehicle, carried it a significant distance, and the deposited it back onto the ground vehicle to continue its journey. While the model itself was fairly small, the technology exhibited was impressive and sleek to say the least. While regulations may be lagging behind, the emergence of the Pop.Up prototype at Drone Week shows that the technology required for aircraft like this is well on its way to ready for market. And the Pop.Up isn’t Airbus’s only urban aviation aircraft. Also in development is the Airbus Vahana. Vahana is a project worked on by the A^3 technological development arm of Airbus, and is located in Santa Clara, CA. The aircraft uses variable-angle rotors that provide thrust vertically for takeoff and landing and swivel forward to facilitate accelerated conventional flight. Airbus A^3’s ‘Vahana’ tilting fixed wing urban VTOL. 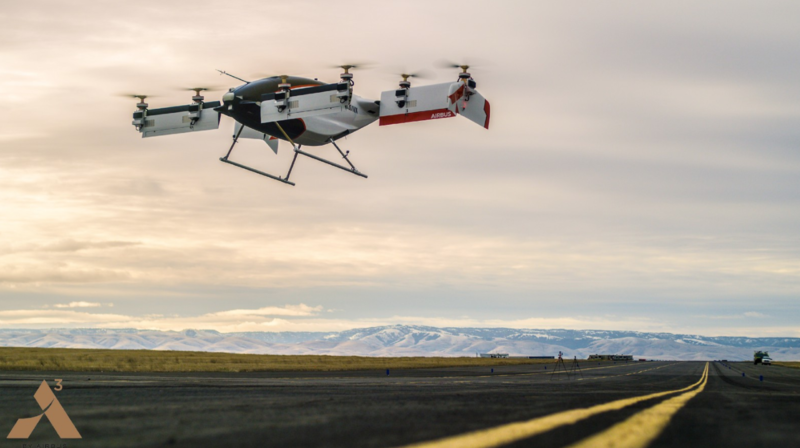 Why it’s important: With more and more important urban air mobility announcements coming out daily, the world is starting to notice. The Pop.Up prototype video was featured by both Bloomberg and Forbes, and multiple major news networks like CNN have also recently covered stories like the Hoversurf police training in Dubai. Without a doubt, the public is becoming more and more aware of the upcoming urban air mobility revolution, pushing progress further forward.